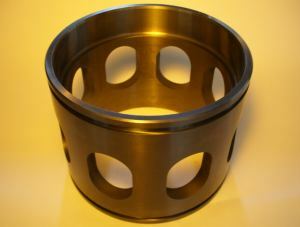 Our CNC turning centers produce the majority of our round steel work from bar stock. Equipped with the specialized software, programming and production are very efficient, easily accommodating both large and small quantity orders. 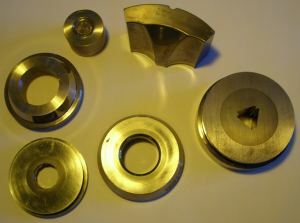 We are continually increasing and improving our hard turning capabilities, which allows for certain items to be produced with greater efficiency. Milling processes at Alcona Tool are also performed with the assistance of CNC mills equipped with appropriate software. Our EDM Department is another very important part of our success. We have both RAM and Wire EDM machines to handle any EDM needs you may have. In the last decade, our EDM department has become one of our most used services, gaining us tremendous experience and expertise in the field of EDM work. The Grinding Department at Alcona Tool is the foundation on which our success has been built. 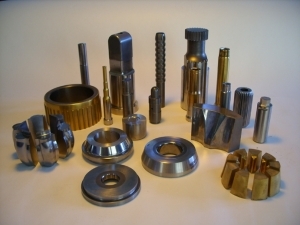 We utilize surface grinders, conventional ID and OD grinders, CNC ID & OD grinders, rotary grinders and jig grinders to produce high quality tooling. 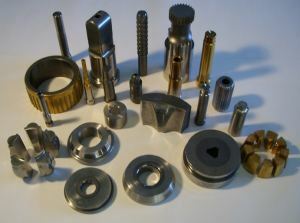 We have vast experience in the area of specialized grinding of carbide and steel. Most of our grinding specialists have over 15 years experience at our facility. Tolerances of plus/minus .0001" are routinely achieved. 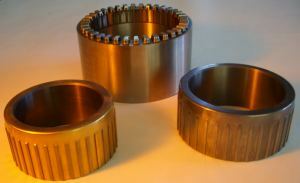 These talented machinists can easily handle any and all customer grinding needs. Our Finishing Department also includes employees with many years experience. We are capable of achieving any micro finish required, and lapping to flatness of 2-3 light bands. Our Inspection Department is superb, featuring two highly qualified inspectors. We have a complete inspection room, equipped with modern inspection equipment. Every order shipped includes a computer generated inspection report. Our Windows based network and "ShopWORKS" software allow for tracking of gage calibration, including frequency and reliability. Our Windows based Network of computers keeps us modern and up to date.